What could cause a mother to believe that giving away her newborn baby is her only option? Cathy Glass is about to find out. From author of Sunday Times and New York Times bestseller Damaged comes a harrowing and moving memoir about tiny Harrison, left in Cathy's care, and the potentially fatal family secret of his beginnings. She isn't told why Harrison is in foster care and his social worker says only a few are aware of his very existence, and if his whereabouts became known his life, and that of his parents, could be in danger. Cathy tries to put her worries aside as she looks after Harrison, a beautiful baby, who is alert and engaging. Cathy and her children quickly bond with Harrison although they know that, inevitably, he will eventually be adopted. 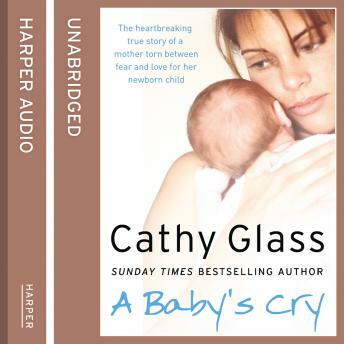 But when a woman Cathy doesn't know starts appearing in the street outside her house acting suspiciously, Cathy fears for her own family's safety and demands some answers from Harrison's social worker. The social worker tells Cathy a little but what she says is very disturbing . How is this woman connected to Harrison and can she answer the questions that will affect Harrison's whole life?